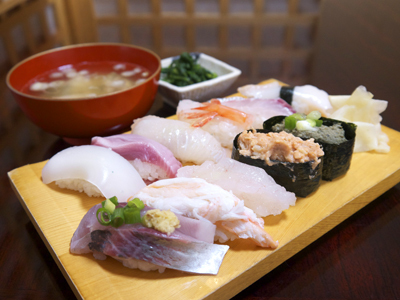 Located near Shinminato Fishing Port, this sushi restaurant features an impressive lineup of seasonal seafood from Shinminato Bay. If you reserve in advance, you will be able to try some of the limited amount of glass shrimp miso as a snack or part of a Battleship Roll. The glass shrimp chawanmushi is the pride of this restaurant, and is available all year round.